I am so proud to be a mom in today’s world. Really. There’s good and bad, but overall, it seems like for the first time, a mom can make the choices that work for her to lead her family in what works for her. Have I said ‘her’ enough? But it’s true. 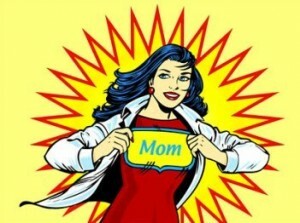 Crunchy, traditional, stay-at-home, glass-ceiling crusher…whatever it is, there are other moms there to support you. And yeah… there’s a fair amount of snark, but for the most part, we respect and help each other. But it’s that support that makes me proud to be a mom. Having kids so far from any family has forced us to build a network. Thanks to friends, neighbors, social media, and of course, family, I have learned so much about being a mom. Seeing all this around me has given me the confidence to try to be the mom I want to be. – freezing Gogurts to have yogurt pops: I spent the better part of last summer pouring yogurt into tiny ice pop molds and then fighting the molds to get the pops out. Gogurts are way easier, and I feel better about them than the regular ‘juice’ popsicles (although we have both). – telling my kids ‘thank you for apologizing’ when they say they are sorry instead of ‘it’s okay’ because chances are, if they had to apologize for their actions, then what they did is not okay. – asking ‘are you hurt or are you scared?’ when they are crying after a fall or something like that: It gets them to stop and think, and in the process, calm down a little bit and gives you a better idea of what’s really going on. – brushing my daughter’s hair while she’s in the high chair having breakfast: She can’t run away from me, and she can’t fuss too much because she’s busy eating. These are just a few of the solid, tangible ways that this great ‘village’ of moms around me has helped me, but there is so much more that I’ve learned that has allowed me to be a mom and to continue to grow in this amazing job. I can’t wait to see to see what else I learn as my kids grow. I only hope I’ve been able to support other moms as well. So to all you moms – thank you! Thank you for the job you do for your kids and for the role you play in each other’s lives to make us all better. This entry was posted in celebrations, Everything else..., family, holidays, kid stuff and tagged mom hacks, mom tips, mother's day on May 11, 2014 by aliciamariel.